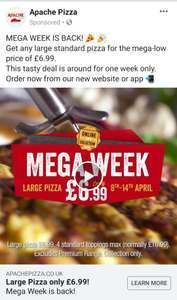 Running from the 8th April apache are selling their large pizzas with a £4 discount upon collection. FFFFREEZING cold. Game for a laugh? I thought this website say Hot UK Deals? Did this two years ago. Was really good but hiring a car was quite expensive other side. Was just about cheaper than paying the car fare. it's a great deal as you can return for the same price until near the end of the year. 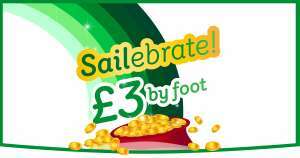 2 weeks fares cost to Eire = £6.00 per person. 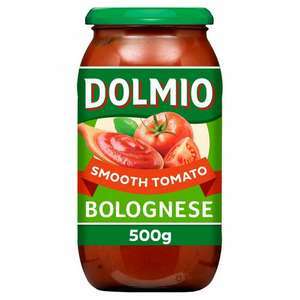 DOLMIO Bolognese/ Lasagne Sauce for 87p at Lidl this weekend only in NI. As per title. Weekend super special. Yeah but on the flip side we don't get some of the deals you get over there. It’s a shame they don’t put these in all store rather than specific NI. The FDA banned them because they don't trust American 3+ kids not to eat the toy. Would t buy this if they paid me £1.50. Absolutely minging. Good find. May be better with a decimal point in the title as it may go ice cold.... That could be good too though in this case...mmmm... Ice cold. Cheers, like I said, if nothing comes of my point over it, with Lidl, at least its here before the deal starts monday, for reference!! Heat for the effort alone. Unfortunately they must have sold out. But heat added. A great bargain. biggedy biggedy bong so it is. Free fleg with it too!! Nice deal, so it is. I held onto my Garmin for years, reluctantly never once trying Google Maps until I got a VW with Android Auto. I couldn't even tell you where my Garmin is right now, nor do I care. Google is *that* good. Yes you are right. My bad!! The best you can get a bottle of 700ml bushmills at the minute is 15. So this works out at 11 each. Bit on the expensive side, innit? Normally buy these for £16/ltr not bushmill though. Baileys 70cl £7 @ Lidl Northern Ireland today only. Can i get a ryanair flight to pick some up? Great price for a great Tea!! Season Greetings! Probably the best Tea in the world!! I know, nothing else compares! Good glitch, shame the UK site has the correct amount. Finally a good point to live in Northern Ireland . Thanks ordered two to collect. Or Navmii on a smartphone. Very pleased with it too, I am. It doesn't rely on having a signal as you download maps to the phone. Unlike the Garmin Sat Back I bought not too long ago, it does full postcode searches (the Garmin accepts a full postcode but demonstrably doesn't search on a full code) and so far, has not diverted me off an A road into a parallel country track that was once, many years before, the original road. It hasn't (wrongly) claimed I was driving the wrong way down a one way street, something the Garmin has done three times so far. I'd have slung the Garmin on eBay by now but my conscience won't let me sell something that is, frankly, so dangerous and flawed. Apple or Google maps both work much better. Free updates both software and traffic.